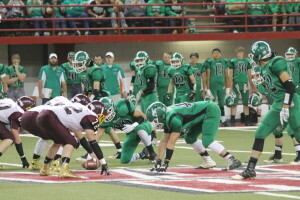 Four members of the Colome High School football team have been named to the academic all state list. The Colome players named are: Isaac Kortan, Wiley Heath, Will Cahoy and Jordan Shippy. The requirements for the award that the player be a senior, have a 3.5 grade point average or higher and have been in the sport for three years. Orval Graber, age 72, of Winner, passed away on Nov. 16, 2016 at the Winner Regional Healthcare Facility. Funeral services were held at 11 a.m. Tuesday, Nov. 22, 2016 at the First Baptist Church in Winner. Burial followed at the Winner City Cemetery. Orval Dean Graber, 72, peacefully went to his heavenly home on Nov. 16, 2016, with his family by his side. Orval was born on Dec. 7, 1943, to Elmer J. and Clara C. Graber. He was the youngest of four children. 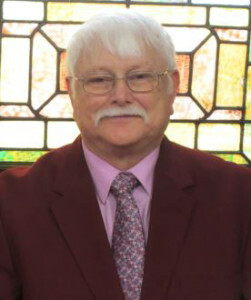 Orval accepted Jesus Christ as his savior and was baptized on May 17, 1959, at Salem Zion Mennonite Church, Freeman, SD. He attended country school, graduated from Freeman Academy, and went on to receive his bachelor’s and master’s degrees in agricultural education from SDSU. On Aug. 10, 1969, Orval was united in marriage to Diane Tschetter. One week later, they moved to Winner, SD, where he had accepted a teaching position as the vocational agriculture and FFA instructor. After 25 years, he retired from teaching and worked for the city of Winner. During their 47 years of marriage, Orval and Diane were blessed with three children: Cherie Annette, Carla Ann, and Cory Dean. Their church memberships were transferred to the First Baptist Church of Winner where he remained active serving in many capacities until his death. He was also a member of the Gideons. In his free time, Orval enjoyed hunting, fishing, singing with the A’Cafellas Chorus, and spending time with his five grandchildren. Berniece Burtz formerly of Winner, went home to be with her Lord on Saturday, Nov. 12, 2016,at the Elms Nursing Home in Macomb, IL where she has resided for the past 5 years. She was 90 years old. She was born Opal Berniece Ruf, daughter of John and Mae Ruf, on the family homestead in Greenwood Township, Tripp County on Aug. 26, 1926. She joined two older sisters, Ariel, born in 1914, and Doris, 1918. In 1932 the family moved to Millboro where John Ruf became pastor of the local church. Four years later in 1936 the Ruf family moved to Rockerville, and the next year to Lake City. In 1939 they settled in Dannebrog, NE where in 1944 Berniece graduated from Dannebrog High School. Following high school Berniece attended Omaha Bible Institute for 3 years graduating in 1948. Berniece was married to Raymond Burtz of Winner, on June 20, 1948 in St. Paul, NE, and the couple made their home on the Burtz Brothers Ranch in northern Tripp County. The couple’s first son, Durwin Keith was born on March 19, 1951. He was joined by sister Koreen Kay on October 4, 1954, Wendell Ray on July 26, 1956, and Ronald Gene was born April 4, 1960. Through the years Berniece was active not only as a wife and mother, but as pianist for the Witten Baptist Church and the Presho Community Bible Church, as a Sunday school and Vacation Bible School teacher, piano teacher, club member, Women’s Bible Study leader, and church treasurer. She was active in the Gideons Auxiliary, and loved to read and teach the Bible, play the piano, garden, embroider, and sew. Beginning in 1976 Berneice worked alongside her husband Ray and their children to move and remodel a former one-room schoolhouse into a cabin the family enjoyed with friends and neighbors on their farm along the White River for many years. Raymond preceded her in death in August of 1999, and several years later she moved from the farm to Winner where she enjoyed playing with the local Kitchen Band, and continued as pianist for the Witten Baptist Church as long as she was able. Lee Eddie, age 93, of Winner, passed away on Nov. 17, 2016 at the Winner Regional Healthcare Facility. Funeral services were held at 10 a.m. Monday, Nov. 21, 2016 at the United Methodist Church in Winner. Burial followed at the Winner City Cemetery. Ivor Lee Eddie, of Winner, SD, passed away on November 17, at the Winner Regional Healthcare Center after suffering from complications of a stroke a few days prior. He was 93 years, 1 month, 2 weeks, and 6 days old. Ivor Lee Eddie, known to all as Lee, was the son of George and Gretchen (Rethwisch) Eddie. He was born on Sept. 29, 1923 in Winner. Lee grew up in the Winner community and attended the South Sunnyside School. He graduated from Winner High School in 1941 and then engaged in farming on the family farm. On Sept. 24, 1947, he united in marriage with Irene Carol Fast and they raised five children: Linda, Dennis, Randy, Ron and Darla. As a youth, Lee participated in 4-H showing cattle and horses. The Eddie family was community oriented with the local baseball league (including Lloyd and George Blomstroom, Ernie and Emil Konvalin) which were followed with barn dances mainly in John Hruska’s barn. After marriage to Irene, he started taking over the family farm in 1947. Lee took pleasure in taking his family to Basin League baseball games at the Leahy Bowl and Family reunions in O’Neil, NE. His life centered on his family and the farm. It was not uncommon to host large family suppers on the farm during holidays. When traveling on family trips he never took the same road twice and was quick to notice details to say that he had an “Eagle Eye”. Later in life, he enjoyed challenging Jumbles and Crosswords and commonly helped his sister Blanche when she was stumped. Saturday nights were spent at the VFW for supper followed with a game of cards with Ryal and Peg Vanneman along with Bob and Fern Ringstmeyer. An avid bowler he enjoyed his Bowling league Wayne Heller, Bud Mayes, and Dale Johnson. Enjoyed taking several Co-op trips across the country including Hawaii. Family vacations were taken with Wayne and Lois Heller as they played cards while their daughters played. In retirement, they enjoyed traveling to casinos with friends. 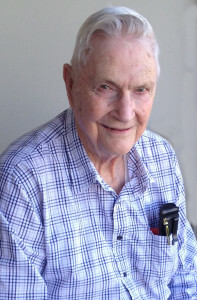 His final years at Golden Prairie, he made lasting friendships at the meal table with his sister, Berniece Hanson, Florence Fisher, Rosie Glynn and Jim Jares. They were known as the fun table at the manor and dad’s humor and finger pointing will be missed by his table mates and staff. Lee’s thirst of knowledge and learning paired with a curiosity for life was something instilled in all his grandkids. When it came to Lee’s grandkids he enjoyed challenging them to be the best they could be. You could always find Lee watching a western show and loved reading western novels. Marie Holub was born on April 17, 1927 to Frank and Mary (Vavra) Cervenka in Mosher, SD. At the age of two they moved to a farm northeast of Winner. She completed her eighth grade in a rural school. Marie attended Gregory High School, graduating with the Class of 1944.She was united in marriage to Frank Holub on August 30, 1948 and to this union two children were born-Duane and Terry. Marie was born on Easter Sunday, which explains her “Esther” middle name. Her birth date/Easter coincided three more times: 1938, 1949 and 1960. Child of the Depression, Marie learned to do a lot with a little, lessons she held tight across nine decades of life. She enjoyed life’s simplicity, if not its modesty. She profiled life’s sincerity. One of her favorite retells was that of receiving a paper cut-out doll for Christmas, that year’s only present. Her first job out of Gregory High School was at Winner’s Omaha Cold Storage, one of nine bookkeepers so employed at the time. The job’s specifics: 40 cents an hour, nine hours a day, six days a week; five vacation days, no sick leave. Marie paid $2.00 a week for a room in Winner at that time. A group of women friends would meet at the Sweetshop (later Andy’s Jewelry) for a $1.50 lunch. Following five years at the Cold Storage, Marie worked two years at Beaulieu, Backus and Bailie Hardware, three years at McCormick Hardware, then a year with the Union Credit Corporation. During all this time she was heralded for her accuracy and speed with stenography (shorthand). Come 1960 she joined the staff of the former ASCS office in Winner. She was the wheat and feed grain clerk. During this tenure she endeared herself to area farm families by her dedication to detail and astute comprehension of ever-changing government programs. Due to cutbacks insisted by the Nixon Administration, Marie lost her ASCS job in 1973. The 1970s begat the 80s and its techno revolution. First Fidelity’s bookkeeping department installed its first computer in 1981. Subsequent years required updates to the upgrades. Marie retired from First Fidelity in 1995, culmination of a 46-year professional career in Winner. But per her want to give and share and stay active, Marie’s work career would take one last turn when, post-Fidelity, she began a 14-year stint at Golden Prairie Manor where she qualified as a medication aide and also as a food server. She freely gave time, leadership and support to the Winner Senior Center, relinquishing her treasurer duties but two weeks before her death. Marie cared and took care. As siblings and friends fell victim to age and illness, she volunteered time and loved to assist in manners intimate to each. Travel distance mattered not. The more Marie was needed the more Marie needed to be there. Marie enjoyed grandson Matt’s plays at the Mason City Community Theatre; chartering Nevada flights with grandson Chris to engage in wholesome casino-related activities; reviewing and attending screenings of grandson Grant’s Black Hills Video airings; attending witness to granddaughter Jacie’s rise within respective Air Force/Air Force Reserve and nursing careers; the birth and growth of great-grandsons Gavin and Liam, and great-granddaughter Addison. Marie bowled many years. Hosted and attended numerous card parties. She absolutely loved to dance, recalling with fondness the old South Hall and present- day Carlock. Her last dance was Labor Day weekend at the Winner Legion. Marie and Frank’s 40th Anniversary dance in Dallas remains a seminal moment. The VFW and American Legion and Auxiliary were important to her; at times, it appeared, she could not volunteer enough. A lifelong Catholic, she dutifully gave time and effort and experience. Professional and personal awards and honors too numerous to mention. She hosted Christmas at her Lincoln Street home, and an every-other-year Thanksgiving gathering enjoyed by Frank’s side of the family. Following Frank’s death, Marie enjoyed casual companionship with friend Walt and then Tom. Marie traveled through each of the lower Forty-Eight. A fan of country music, trips to Nashville and Branson were, in a word, mandated. As were polka bands across the Upper Midwest. Marie and Frank pulled a small trailer to many a state park for weekend camping and fishing excursions, oftentimes accompanied by their grandchildren. Marie loved her time on the ‘van’ with friends en route to Rosebud or Radar or Flandreau. She will miss you all so very much. Marie belonged to numerous organizations. She held offices in Catholic Daughters, American Legion Auxiliary, VFW Auxiliary, Business & Professional Women, Past President Parley American Legion, and was a 10 year Counselor for Jr. Catholic Daughters. Maurice “Jack” Earll died Nov. 13 at the age of 95 at the Trinity Care Center in Farmington, Minn. Memorial services were held on Nov. 19 at Trinity Evangelical Lutheran Church of Winner. Maurice Edwin Earll was born to Floyd A. Earll and Minnie F. (Odin) on Feb. 19, 1921 in Carter, SD. 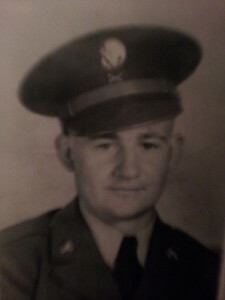 In January 1943 Jack entered the U.S. Army and was assigned to the 45th Infantry Division at Ft. Sill OK as an artilleryman. Jack fought with the 45th starting in North Africa, then on to Anzio, Italy and the Rhine River in Germany where he was wounded and awarded the Purple Heart. Jack underwent experimental bone graft surgery at Fitzsimons General Hospital in Denver, CO and was honorably discharged in 1945. Jack married Lydia L. Pajl on Nov. 6, 1948. They resided in Witten, SD and then Winner. To this union they had two children, Marlene Earll, Burnsville, MN and Sharon (Steve) Wade, Burnsville, MN. Jack & Lydia moved to Burnsville, MN in 2014 to live with Marlene and be close to their family. They have 3 grandchildren: Laura Wade, Tracy (Brian) Christianson and Jeff Wade; and 3 great grandchildren: Delaney & Brennan Machacek and Maggie Christianson & new baby to arrive in January. Inez L. Schoulte was born on August 4, 1916 on the family farm south west of Presho. She was the third child born to William G. Schoulte and Catherine (Clausen) Schoulte. 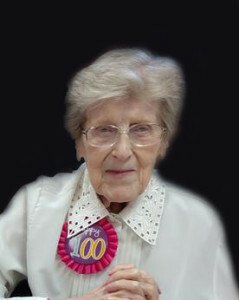 Inez had a goal of reaching her 100th birthday which she celebrated in August. Inez attended elementary school at the country school (Schoulte School) one mile south of her home. She attended Presho High School graduating in 1934. She received her elementary teaching certificate from Aberdeen and Springfield. She graduated from South Dakota State University in Brookings with a Bachelor of Science degree in Home Economics in 1942. Inez received a Master of Science degree in Foods and Nutrition from the University of California at Los Angeles in 1952. She pursued a doctorate degree at the University of California in Berkley. Inez first teaching job was 5th & 6th grade in Wood S.D. She then taught home economics at Parkston High School. Inez also worked as a dietician in Charity hospital in New Orleans, Orange County Medical Center in California, Greenville North Carolina. She was associate professor of food and nutrition departments in both University of North Dakota and Utah State University. Inez dedicated her life to education and continued to study and learn her whole life. In 1963 she left the teaching profession to care for her elderly parents in California. When Inez health began to fail in 1994 she moved back to South Dakota to be near family. 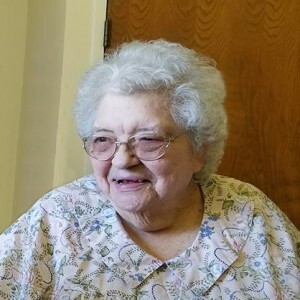 She resided a Lou Hagels assisted living and then moved to Parkwood in Pierre where she lived for 14 years, then due to the flood in 2011, she moved back to Presho to New Life Boarding and then to Dakota Heritage in Pierre. In September of 2014 her health made it necessary to move to the Winner Long Term Care Facility in Winner where she passed away Nov. 15. Inez will be fondly remembered for her stories of all the places she had been throughout her long life. Some of Inez favorite quotes were: Better days are coming, this too shall pass and just take one day at a time. The South Dakota task force studying mental health and criminal justice today submitted a report with 15 recommendations for consideration by Gov. Dennis Daugaard and the Legislature. Expanding training and tools for law enforcement, standardizing mental health screenings in jails, and increasing opportunities to divert individuals with mental illness to treatment are among the task force’s recommendations. – Expediting completion of court-ordered competency evaluations. 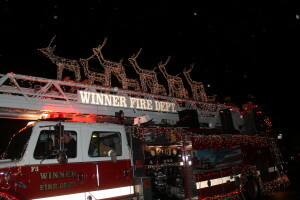 It is time to start thinking about entering a float in the Winner Area Chamber of Commerce Parade of Lights. The annual holiday event will be held Saturday, Nov. 26 at 6:30 p.m. on Main Street. Persons are asked to call the Chamber by Nov. 23 with their entry. First place will win $300, second place $200, 3rd place, $100 and people’s choice, $100. Prior to the start of the parade, there will be events all afternoon. There will be photos with Santa, face painting, minnow races, wine tasting, Moon Lake Ranch Reindeer, free movie at the Pix Theater and horse and wagon rides.